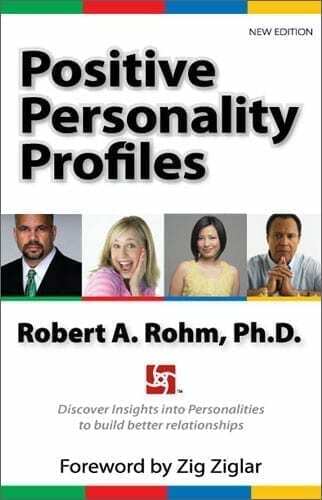 “This is my signature book giving the overview of the DISC Model of human behavior,” says Dr. Robert Rohm. It the primer for building your understanding of human behavior. UPDATED VERSION ! Our Most Popular Book Just Got Better! Now you can … Find out why people respond to you the way they do. See your spouse in a whole new light. Find out what motivates your child. Learn to read your boss. This book gives a basic overview of behavioral styles. It discusses identifying different traits and behavioral preferences for each style. This book provides a foundation for understanding the DISC approach to human behavior. It is written to edify people and give clear understanding on gifts, talents and effectiveness. Topics covered include: The “Four Temperament” Model of Human Behavior, The “D” type personality, The “I” type personality, The “S” type personality, The “C” type personality, Characterizing qualities, reading people, why opposites attract, classroom scenarios, motivation techniques, practical applications and more .